Governor-Elect Dunleavy is encouraging you and all Alaskans to submit their names for consideration for service to our great state. 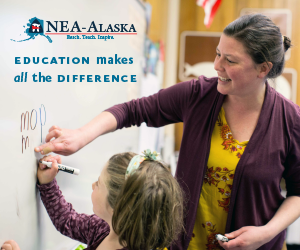 Should you desire to continue your service to the State of Alaska in another appointment-based position, you are invited to submit your information and the position(s) you desire for consideration before December 3, 2018. Please submit your application through the portal located at GOVERNORMIKEDUNLEAVY.COM. But when you go to the website and click “Apply” it redirects you to a Mike Dunleavy branded, ClearCompany website. They also inform users that it is up to them to take steps to disable tracking and advertising features. And if you do not want to receive promotional offers that promote them or third parties, you have to opt-out by sending them an email. The right of the people to privacy is recognized and shall not be infringed. The legislature shall implement this section. With recent data breaches of major tech companies like Equifax and Uber, as well as the discovery that Facebook was sharing users data, without their knowledge, with the data company Cambridge Analytica, it is important that people know who they are giving their personal information to and what they can do with it. The ClearCompany website asks applicants to upload their resumes, which can contain detailed personal information. Who are they sharing this data with? I would like to thanks the lawyer who brought this to my attention. They went to the website, after the email requesting resignations went out, to look at applying for a different job. One thing about lawyers, they pay attention to the details and always read the fine print. Will the State of Alaska pay this company for this service? If so, did the State follow the procurement code? Does this violate any existing recruiting or HR contracts that State departments may already hold with existing vendors? Duh, Dunleavy does not have State of Alaska software at his disposal since he is not in office yet. This is not an unusual practice. Nothingburger. But then you knew that. This is NOT legal! All state job applications MUST go through the Alaska Dept of Admin personnel system!